Although the Chicago Cubs decided to bring back infielder Addison Russell for the 2019 season, Wrigleyville Sports will not bring back its Russell merchandise, according to a store manager. Russell, 25, was suspended 40 games on October 3 for violating Major League Baseball’s domestic violence policy. As a result, Wrigleyville Sports has taken a stance by removing any merchandise that says “Russell” from their stores. “Ultimately everyone made a decision to send it all back to the warehouse. Even if people come in looking for it, it becomes a question of should we sell it?” said Rhiannon Foard, one of the managers of Wrigleyville Sports. 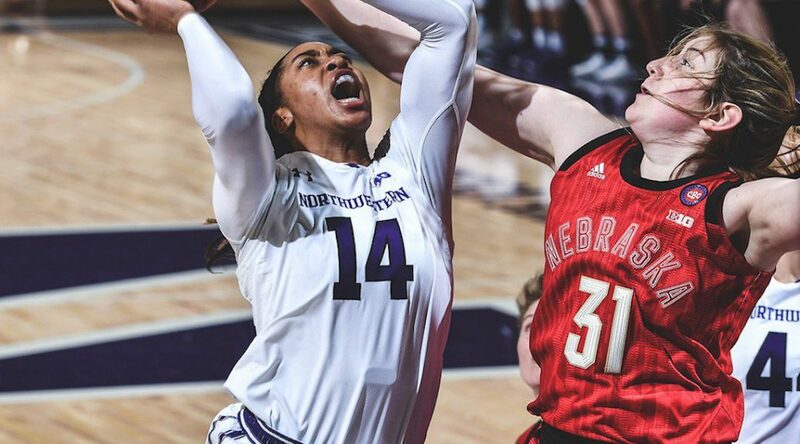 Despite recording her 1000th career rebound for Northwestern women’s basketball, senior center Pallas Kunayi-Akpanah and the Wildcats narrowly missed completing the season-sweep against Nebraska Thursday, losing by a score of 71-64. Nebraska was able to jump out to an early lead thanks to stand out first half shooting performance. The Cornhuskers shot 58.3 percent in the first half, scoring a massive 40 points against a Northwestern defense that has been one of the most effective in the Big 10 Conference this season. Meanwhile, with only 26 points along with a 34 percent shooting percentage in the first half, Northwestern needed to turn things around. Midway through the third quarter sophomore guard Lindsey Pulliam scored a crucial basket through traffic, ultimately drawing a foul. Pulliam fist pumps and yells over to her teammates, clearly indicating a change in momentum. Despite a fourth quarter surge from Northwestern University women’s basketball and a standout performance by freshman guard Veronica Burton, the Wildcats fell just short against conference rivals Minnesota with a score of 61-54 on Thursday. As temperatures outside Welsh-Ryan arena eclipsed 0 degrees at tipoff, Northwestern started the indoor game cold. The team was clearly thrown off by Minnesota’s high pressure defense as the Wildcats turned the ball over nine times in the first quarter alone. Northwestern Women’s Basketball are in the midst of a bounce-back season. This interactive timeline outlines the team’s highs and lows thus far while also looking forward to an exciting second-half of the season. To view Northwestern Women’s Basketball’s upcoming schedule click here.